The serial number and tubeset are both consistent with 1985 but I wouldn't rule out the possibility of a 1986 model manufactured in late 1985. Thanks... I'll settle for mid-80's. The "S" in the serial # is a manufacturer code? Has a "Made in Japan" label. Finally finished the build of the 500. Last edited by vtchuck; 02-20-18 at 01:14 PM. Been my commuter for about the last eight months and I'm a fan. Not sure what year it is. Welcome to the forums. It's a 1984 model. Bikes: Always looking for the next one. Serial # is ES550666. Is this likely 1985? Thanks. It's almost certainly May 1985, as the Shogun brand didn't exist prior to the 1977 model year. 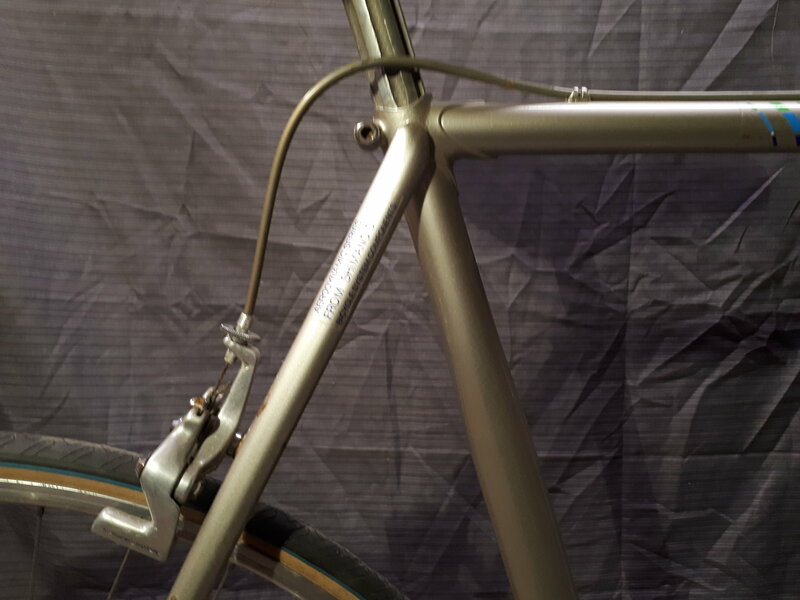 Your frame was was manufactured by Miki of Japan, in early 1981. I believe my Shogun 500 is a 1985, serial # is Y5F1400. Last edited by 67tony; 11-28-18 at 02:57 PM. I have a late-1984 or early-1985-ish Prairie Breaker 2, s/n FS451548. 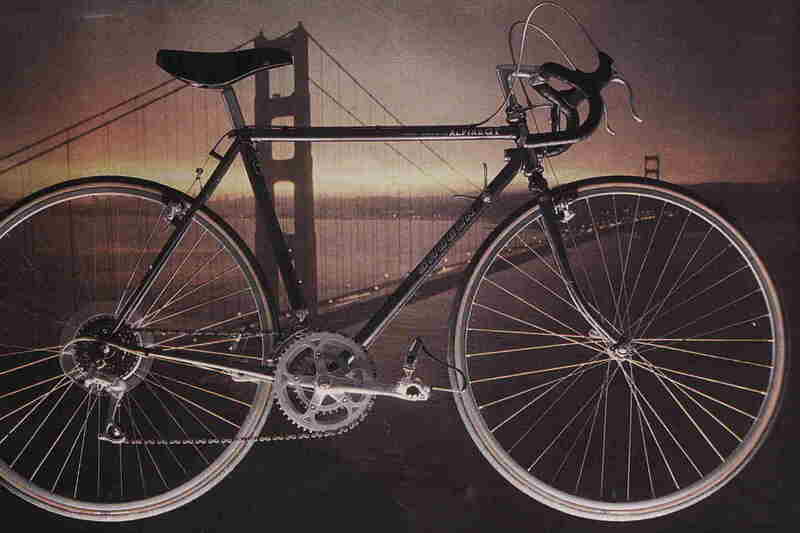 As found, with Shimano AL-11 derailleurs, BR-AT50 brakes, SL-MT50 shifters, and Takagi Tourney XT cranks. Last edited by CO_Hoya; 05-17-18 at 06:38 PM. Manufactured June 1985 by Yamaguchi of Japan, so almost certainly a 1985 model. Manufactured June 1984 by unidentified Japanese source. Might as well drop my SN in S5W6274. 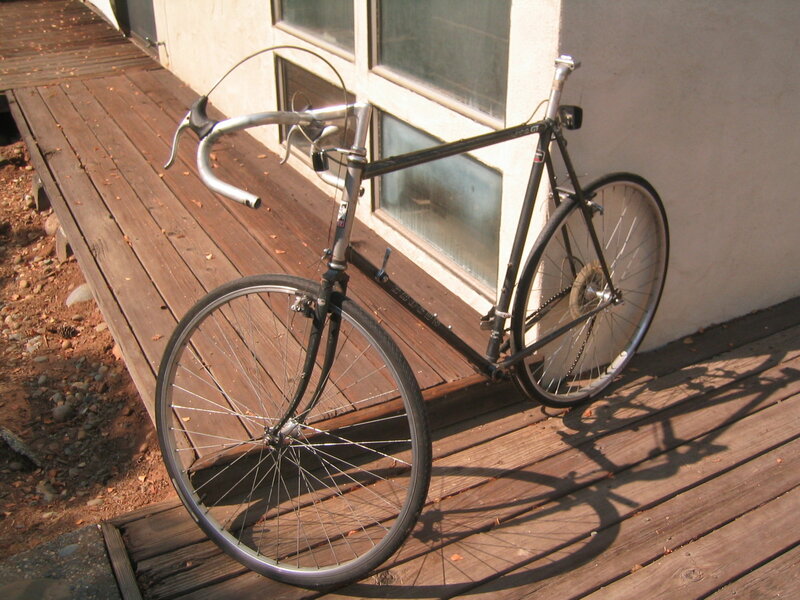 It is a 19" 500 touring frame with cantilever posts. Tange 900 CR-MO double butted. 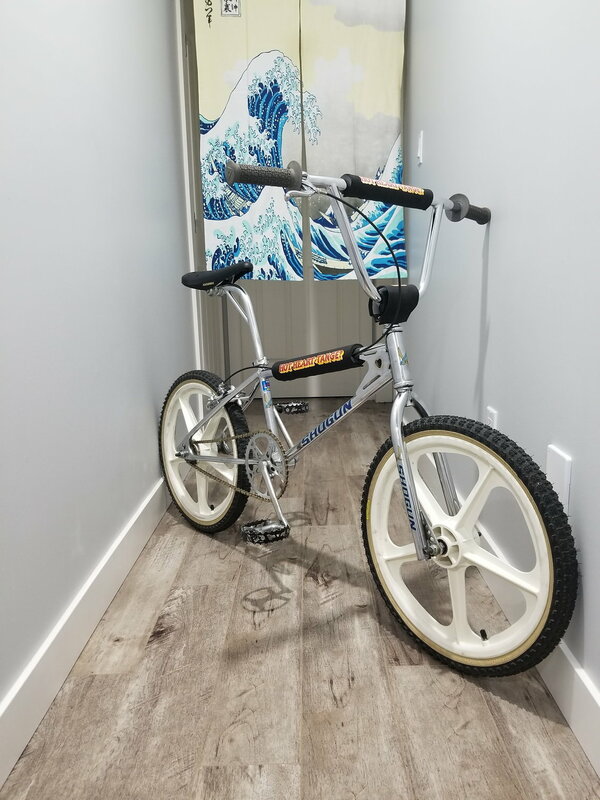 1983 Tange Shogun Hot Heart BMX. 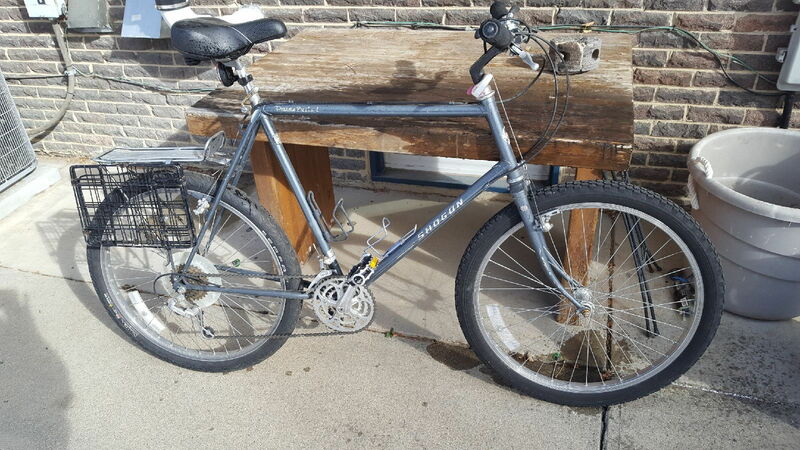 Just brought home a Shogun bike from the Bike Exchange. 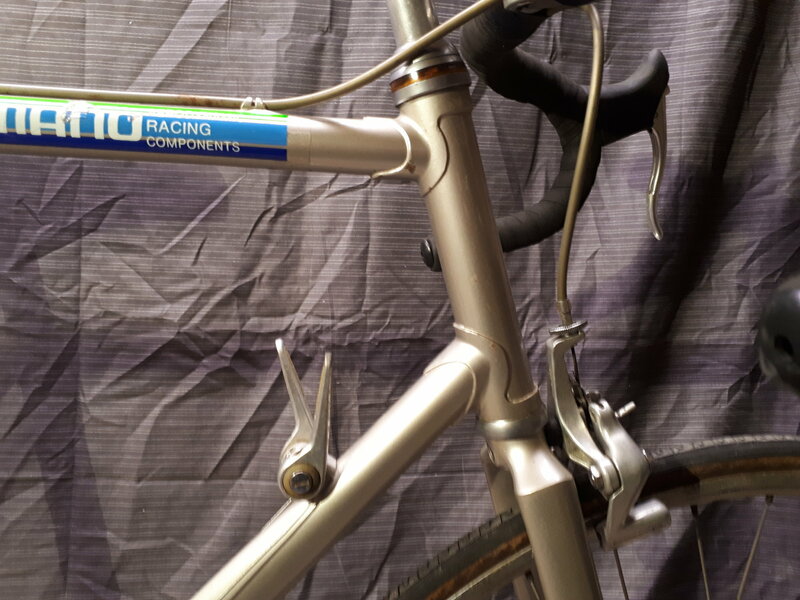 It appears to be mid eighties touring model with Deore derailleurs and a triple crank. Can anyone here steer me to catalogue scans and /or specs. I haven't done anything except remove the pedals which must have been glued in and the crank threads buggered because i had to use heroic effort to finally get them off including removing the left side crank arm and putting it in a vice to hold it while I used the big wrench to unscrew the pedal. It looks like this will be a nice project . Tell me good stuff about the bike, pleeeese! O/k Here is what I found about the Shogun I just brought home. Any info would be appreciated. Catalogue scan? Had not seen one of those before. Pretty neat and looks good quality with nice touches. What you have is a 1987 model. Contrary to the decal, the stays are not butted CrMo but plain gauge Tange Mangaloy, like the forks. It's misleading but the stay decals apply only to the main tubes. 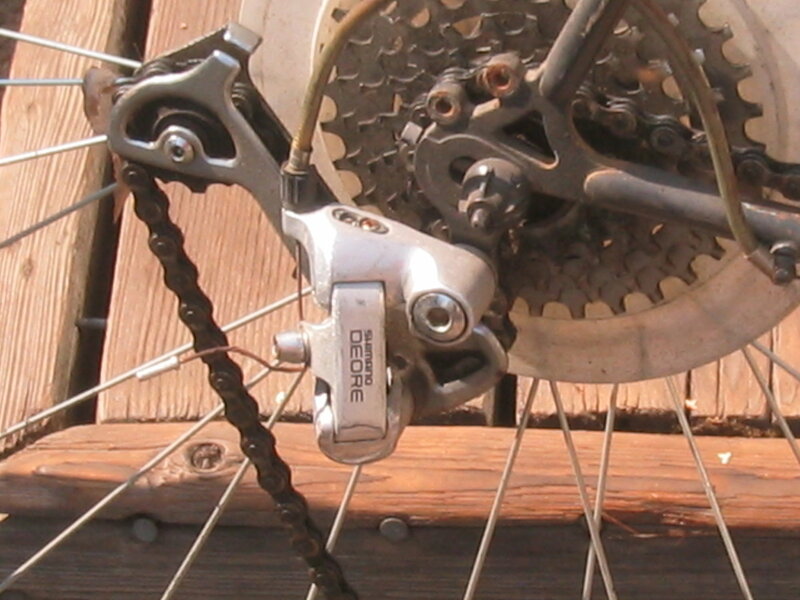 The Shimano Deore derailleurs and brakes are OEM. 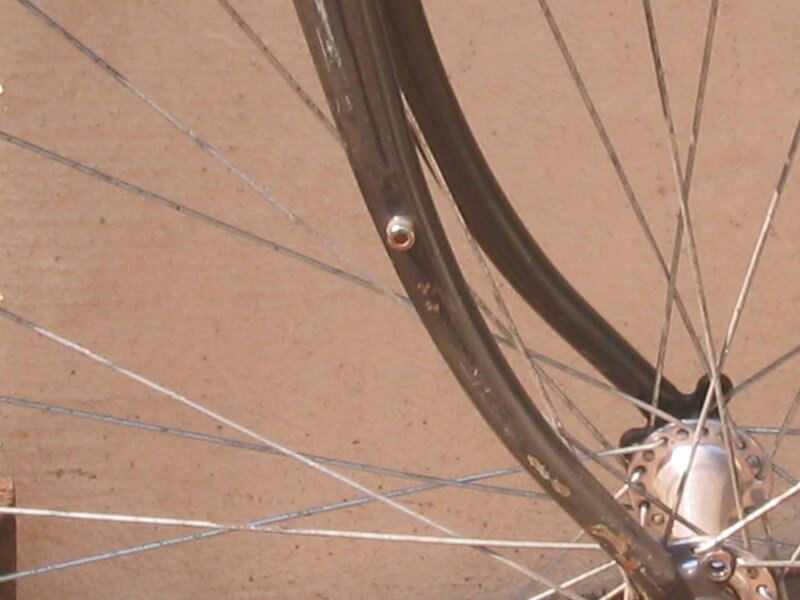 I can't identify the wheels from the picture but they are likely OEM,with Suzue hubs laced to 27", channel section, Araya 16A(5) rims. The missing crankset should be a Sugino VP 30./45/50T with KKT Pro Vic II pedals, while the missing saddle should be a Selle Italia. 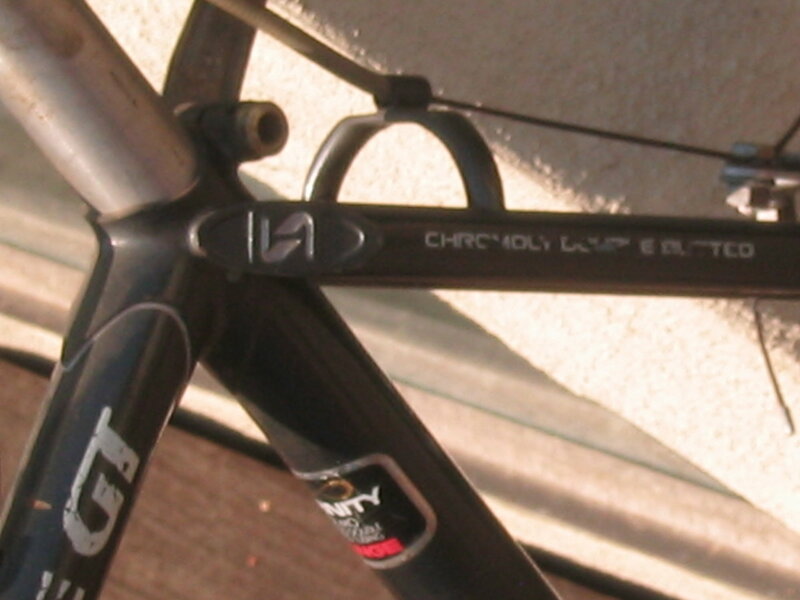 The weight sounds correct, given that the claimed weight for the 21" frame was 24.2 lbs. Original MSRP was $385 US. 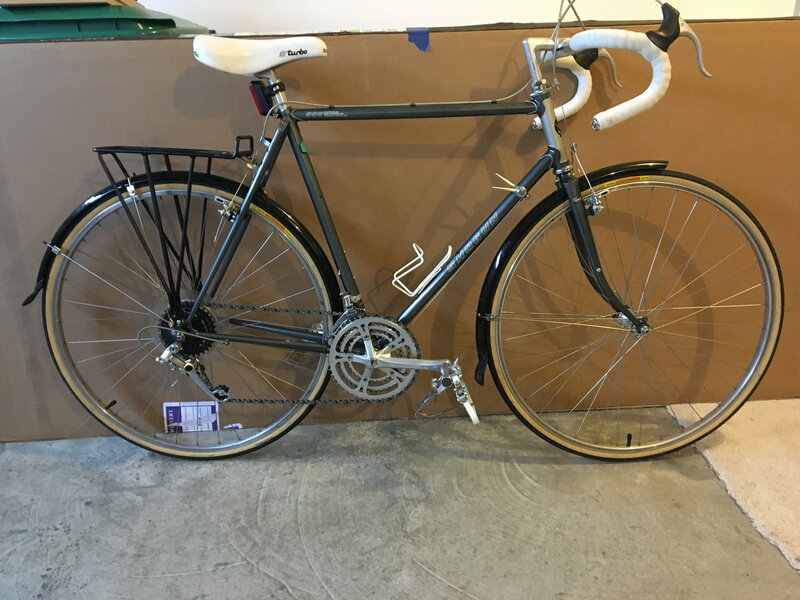 Hi everyone, i am unable to identify a bicycle. 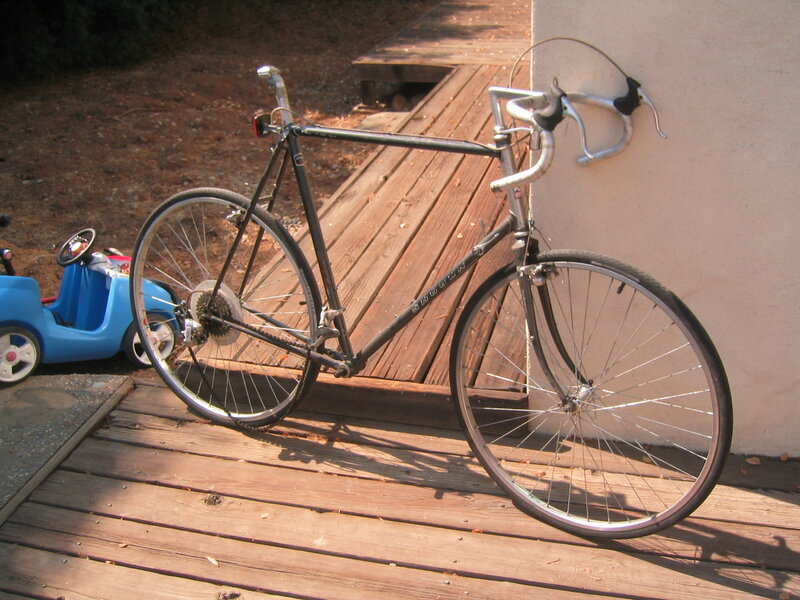 The bike has an aero frame and has been repainted. 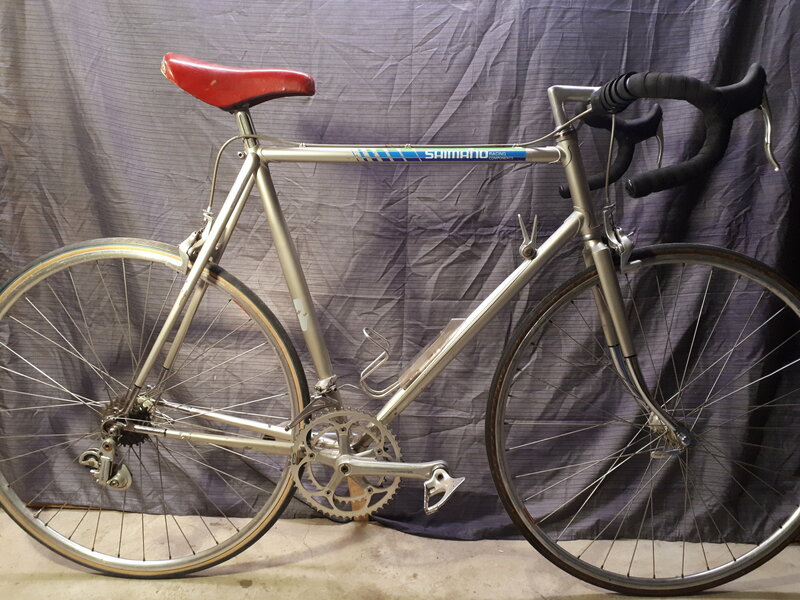 it is very similar to a Shogun Aero or an SR bike ive seen on another forum but has some differences. 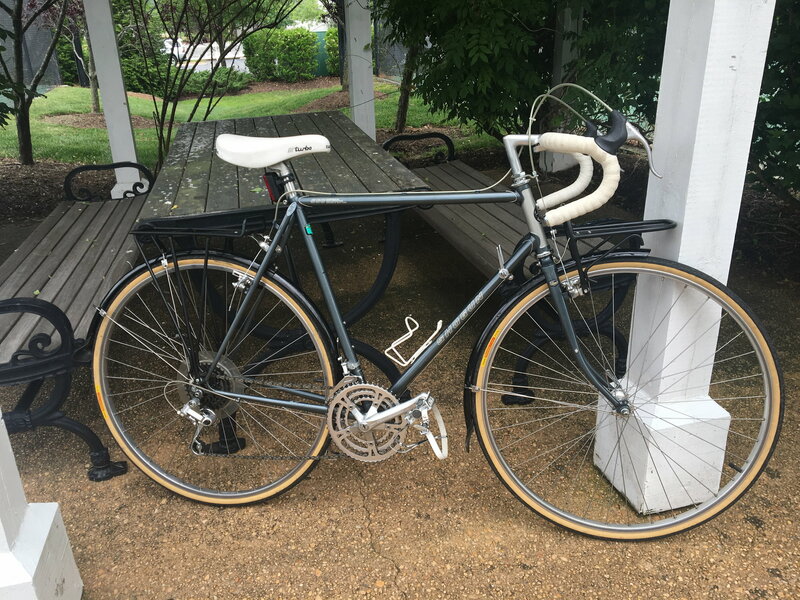 My Shimano Aero bike has 600ax components, tange levin aero headset, SAKAE CUSTOM road champion handlebars, shimano sf forged rear dropouts, it is gold and seems to have been repainted, the fork is partly chromed and has tange dropouts. 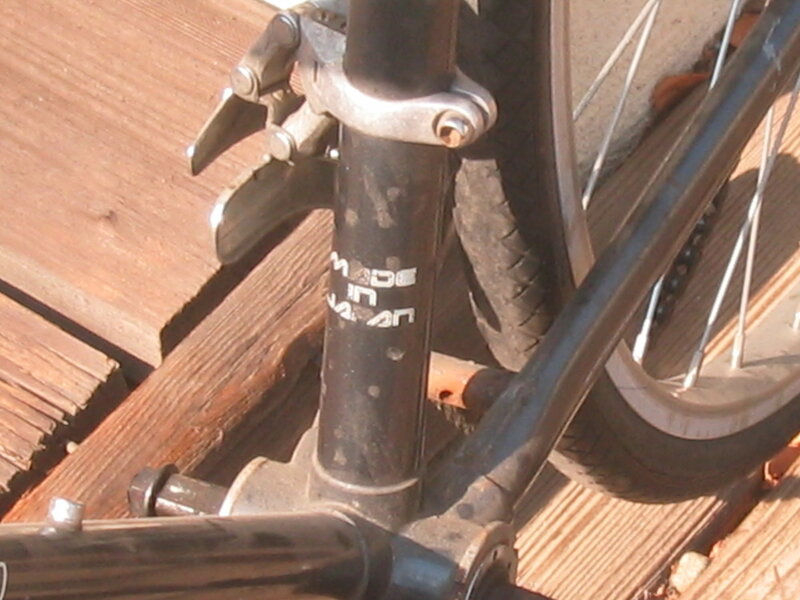 the serial is on the low part of seat tube right above th bottom bracket on the left side (S1N0278). 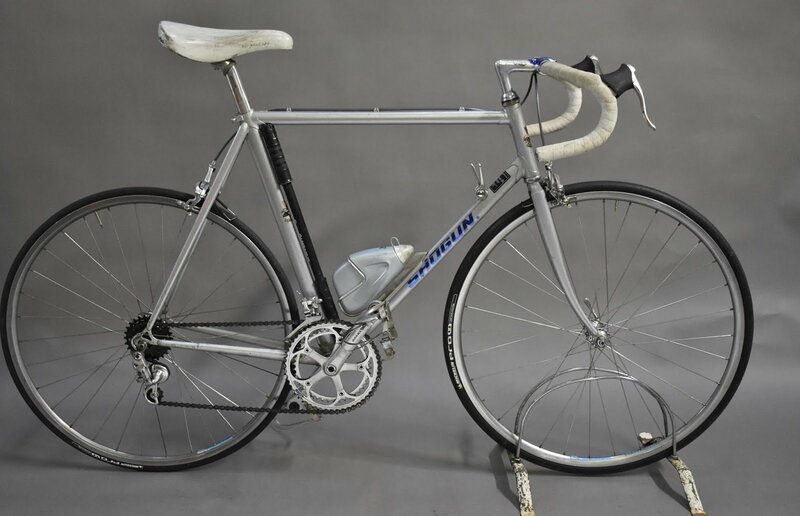 here are the ones i found that are the closest: gemini aero, sr aero, koga miyata, superia, shimano super aero, shogun, standish.. I hope you will have infos for me. Thanks in advance. 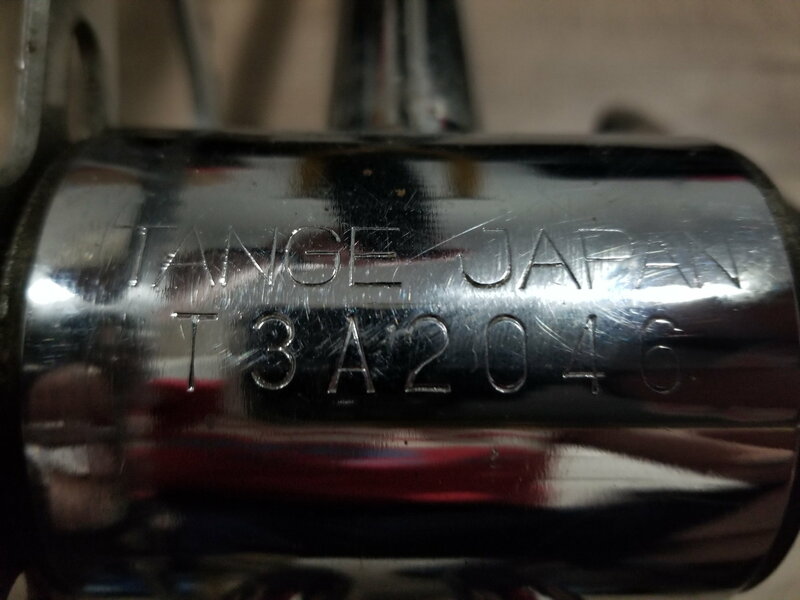 Welcome to the forums.That serial number indicates 1981 manufacture and was used by one of Shogun's contractors. Shogun did market an aero frame during this period.and a model could sometimes have small variations from year to year or from one contractor to another, so it might be a Shogun. However, until we have pictures, all it remains is a possibility. Thanks T-Mar for your answer. I will post pictures as soon as i can. 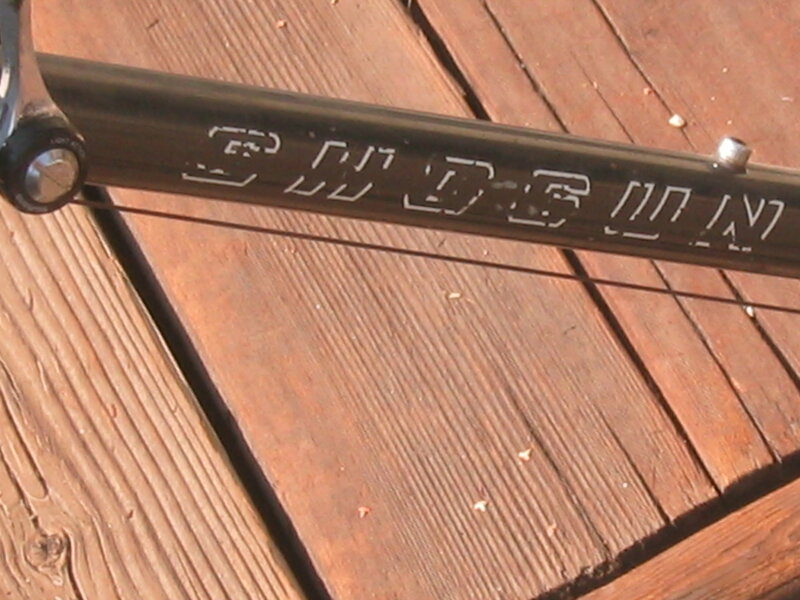 But i wonder if you can confirm me that shogun bikes could have a serial number on the seat tube as i mentionned. 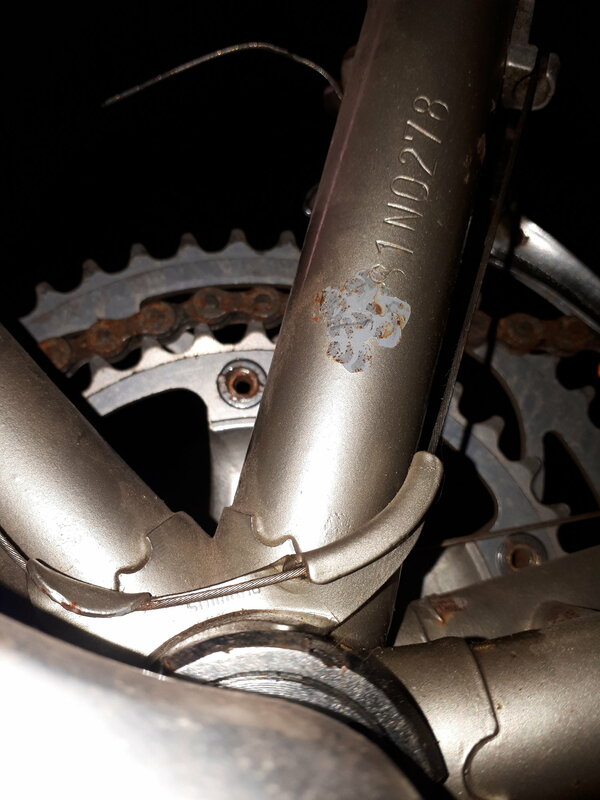 All the pictures of serial numbers i have seen are on the bottom bracket.. I went back and checked the database. Unfortunately, not everybody with your code format provided pictures but for those that did, the serial number was on the under side of the bottom bracket shell. 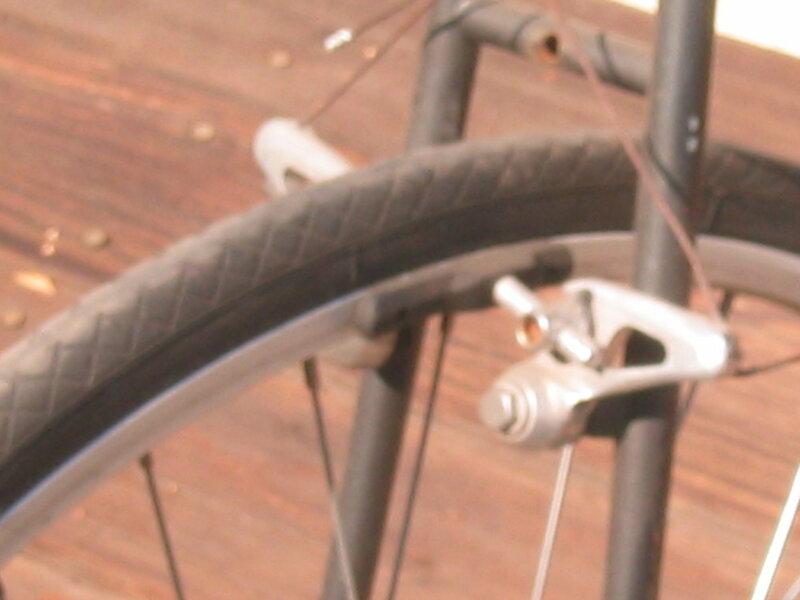 Your frame is semi-aero style, in that the seat and tubes are not aero profile along their entire length. They are aero profile in the middle and round at the ends. 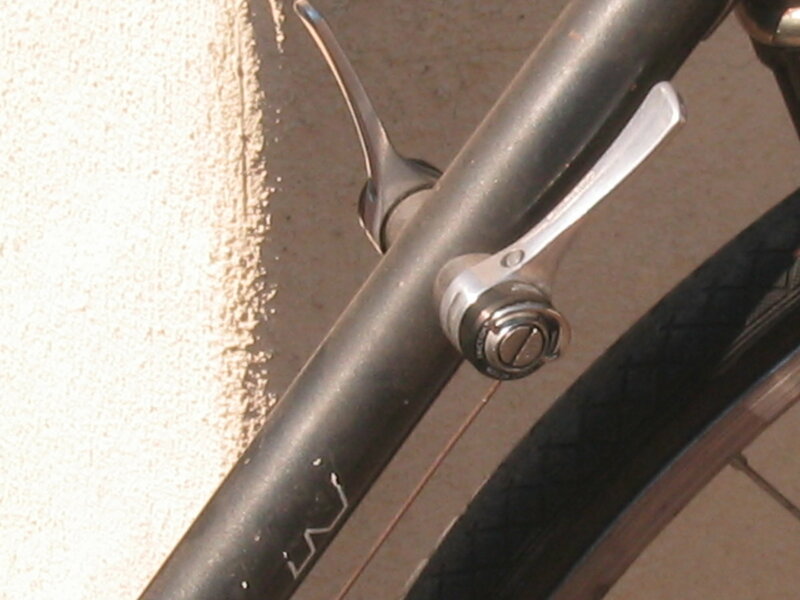 This is a cost concession to permit the use of conventional lugs, standard front derailleur clamps and round seat posts. I've only see a handful of Shogun aero bicycles and none are an exact match for yours, though the the stay cap treatment is similar. You also mentioned the possibility of an SR. 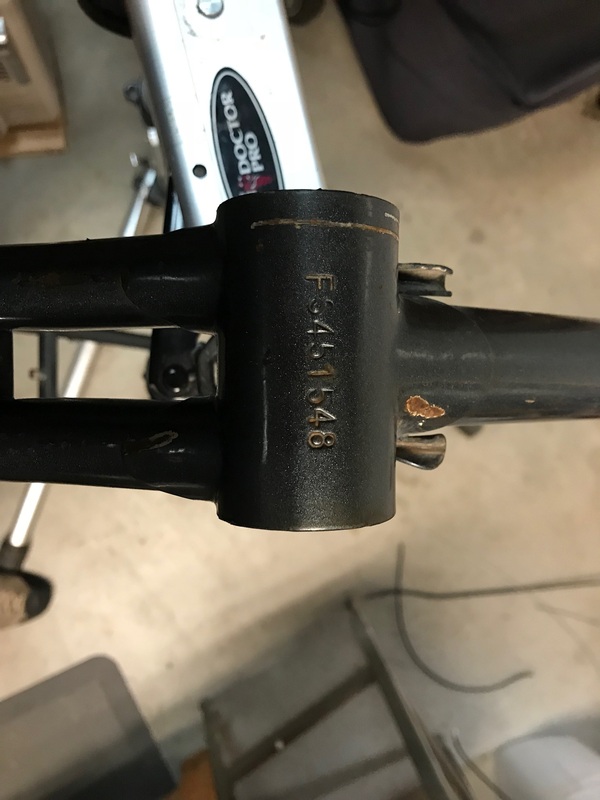 I have one serial number for an SR aero frame in my database and it is definitely from a different manufacturer. 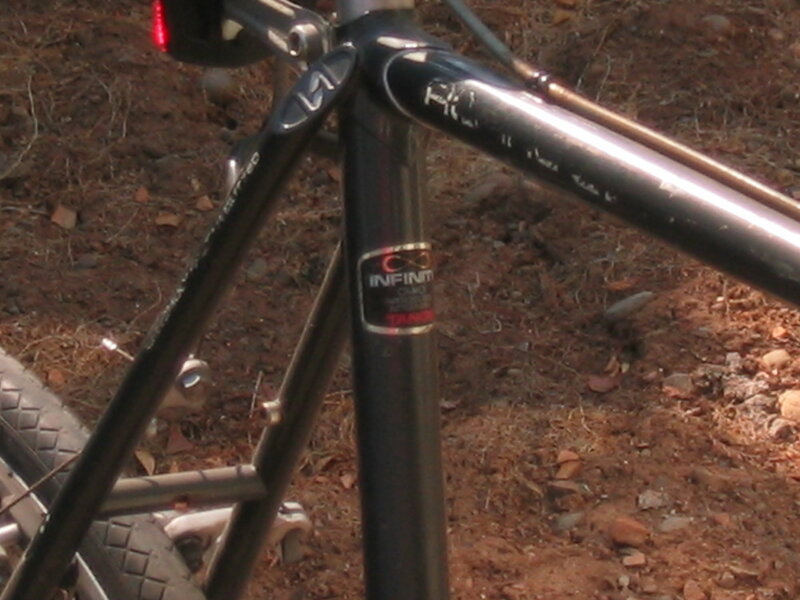 The bottom line is that I can't tell you which brand your bicycle was marketed under. The S/N format is consistent with that of a Shogun contractor but I haven't seen an exact match. About all can say is that it was manufactured in Japan in 1981 and late enough in the year that it could be a 1982 model. Thank you very much T-Mar. Although i would have loved to know what brand my bike is, i learned a lot about generation AX and asian data. 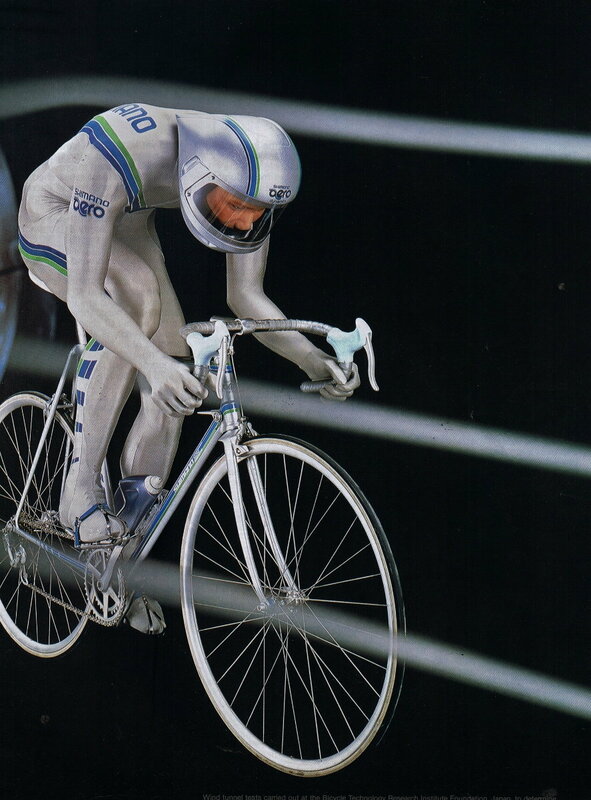 I still want to restore the bike and it will probably be doing something similar to the bike in the picture of the shimano guy in the wind tunnel in the 81-83 catalogue. I really like the blueish grey of the bike in the catalogue and about the same as the Shogun Aero. Shimano aerodynamics decals will be easy to find. I wouldnt want to badge it as Shogun if was not 100% sure. But damm, to me it seems so close to it !! Other positive point about this, i discovered this forum and really enjoying my time here! Nice to meet you all!